"Friso Sterk: "Increasing demand from West European retail"
BioWorld, the organic branch of the Best Fresh Group, is slowly extending its assortment. 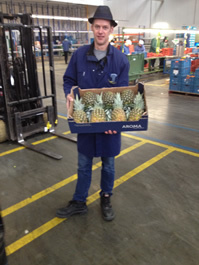 After the development of the organic greenhouse vegetable and open ground fruit and vegetable assortment, the business started importing organic pineapple from Costa Rica, in which organics and fair trade are combined. "Recently, we had been asked more often why we don't sell pineapple and we therefore looked into the possibilities for import. We started on a small scale and want to extend the import further over the next few years," says Friso Sterk. 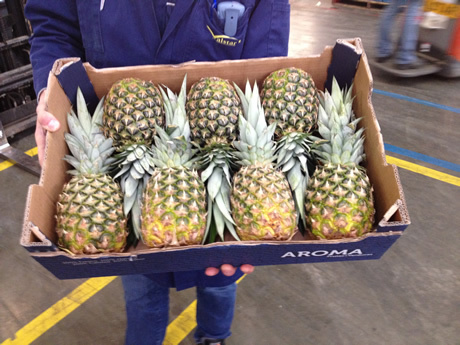 "There has already been a reasonable amount of supply of organic pineapple from Costa Rica to Holland and it is becoming an increasingly larger product. It is a product that fits with us. In fact, the pineapple is the third tropical fruit to be widely accepted as organic, after the avocado and mango. You can see them in natural food shops and supermarkets more and more," continues Friso. "As with most products the price of the organic pineapple is slightly higher than the price of the conventional product, in which there is an extra increase for the combination of organic and fair trade. "The advantage is that the organic pineapple is available almost all year round and that the prices are reasonably constant."